Decorating pumpkins for Halloween is a yearly tradition for many families. But worries over supervising kids with sharp knives and having to deal with stringy pumpkin guts can make the experience feel more like a trick than a treat. 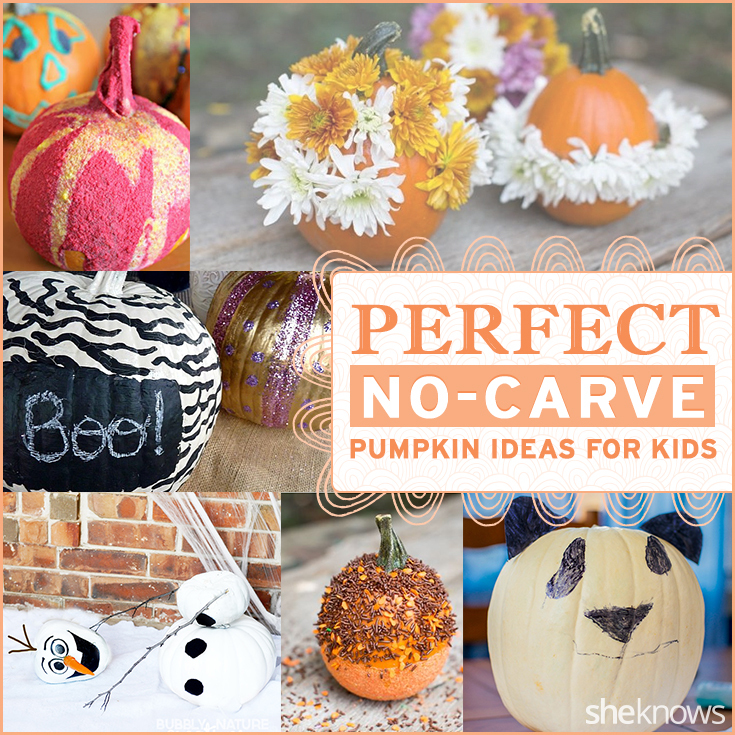 Luckily, we rounded up some of the best no-carve pumpkin ideas, so you and your kids can celebrate in style, all while being safe. Looking for a no-carve pumpkin idea that’s easy enough for toddlers, but scary enough to please your big kids? 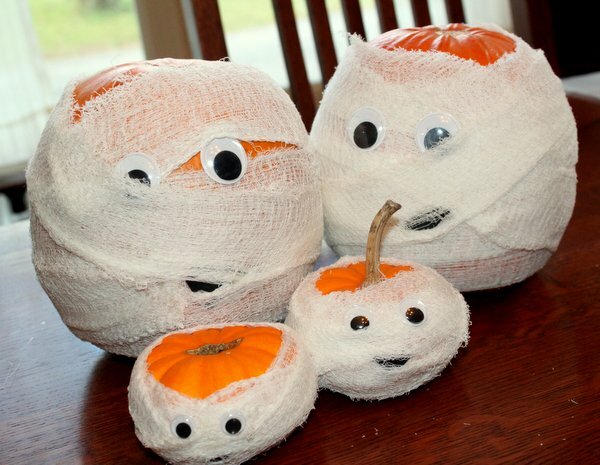 Then this mummy pumpkin tutorial from Hands On As We Grow will please everyone in your family. Not only is it completely mess-free, so you can do it indoors, it’s also spooky without being scary. What trick-or-treater wouldn’t squeal with delight being greeted by a character from one of his or her favorite movies on Halloween? 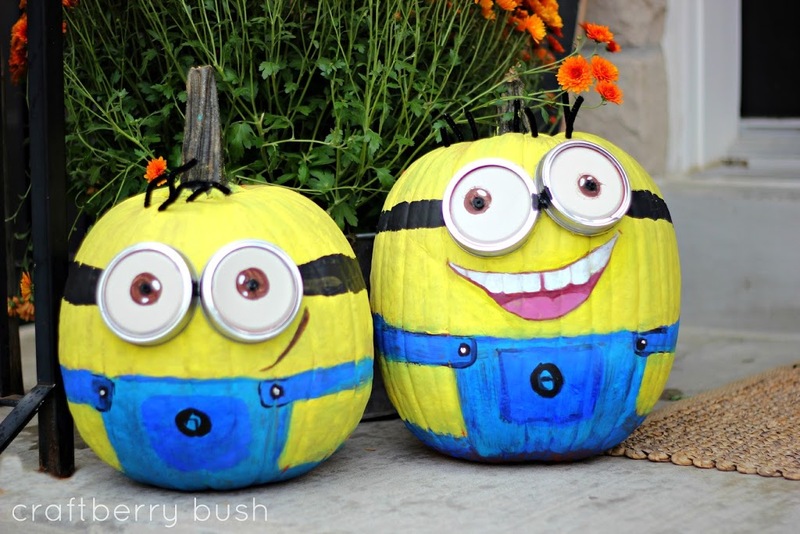 With some paint, canning jar lids and this tutorial from Craftberry Bush, your kids can help you make Minion pumpkins that are (almost) as awesome as the candy they’ll collect. These flower-covered pumpkins from Hello Natural are a unique way for older kids to decorate a pumpkin without having to use a knife. And if you live in a warmer area where flowers stick around throughout the fall, it’s a great way to display those beautiful blooms. 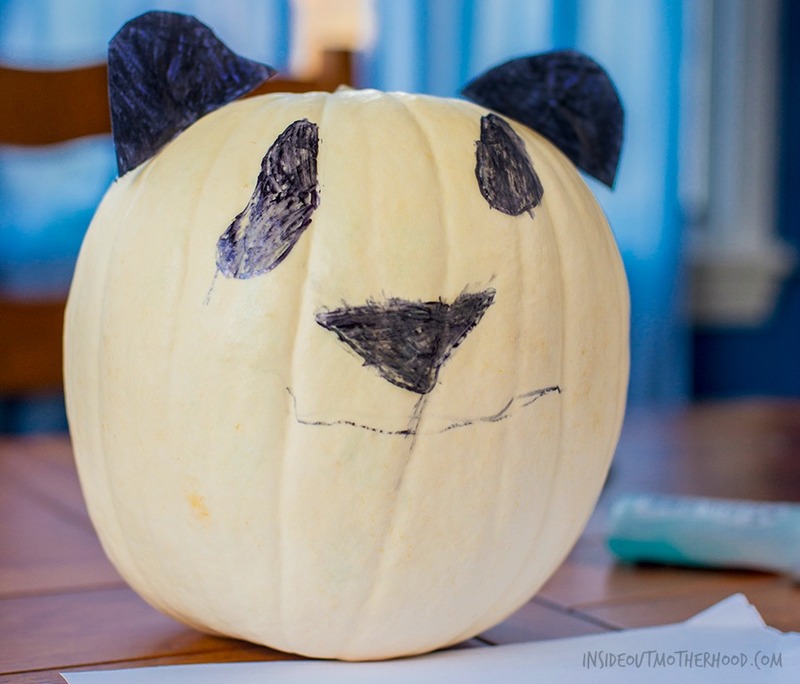 It doesn’t get much cuter than this no-carve panda pumpkin from Inside Out Motherhood. Not only is this a fantastic craft for babies and toddlers who might not like the scary side of Halloween, if you use a white pumpkin you don’t even have to paint! 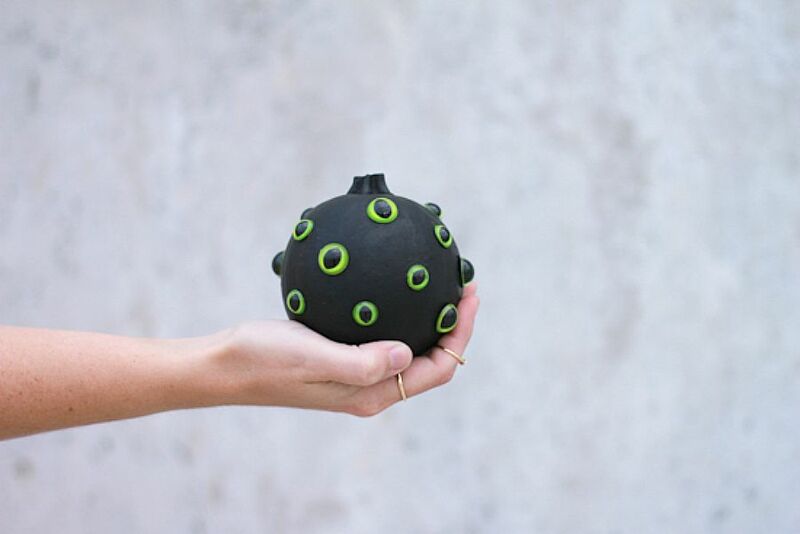 How’s that for a stress-free craft? 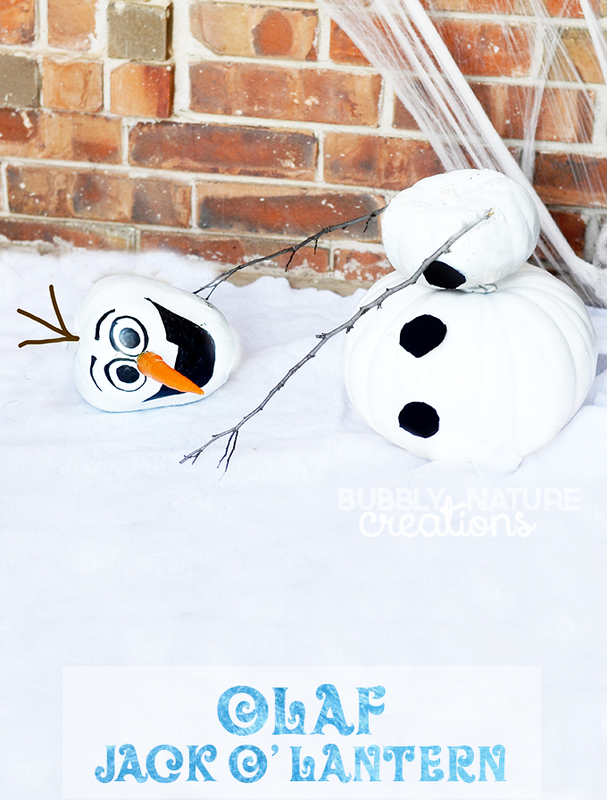 If your child is still running around in last year’s Elsa Halloween costume because when it comes to all things Frozen she still won’t let it go, then this no-carve Olaf pumpkin from Bubbly Nature Creations will earn you more mom points than handing out full-sized candy bars to trick-or-treaters. All you need is some paint and an eye for picking out well-shaped pumpkins. Just because there’s no carving involved doesn’t mean a pumpkin can’t still be scary. This creepy cat eye no-carve pumpkin from Paper & Stitch is great for kids who can’t get enough of the spooky side of Halloween. 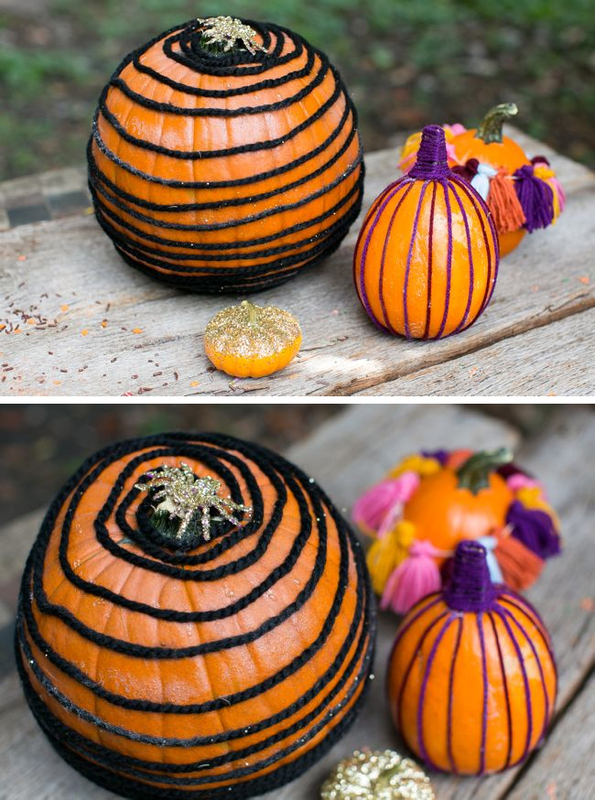 For a bold design that’s simple to pull off, check out this yarn-wrapped pumpkin tutorial from Hello Natural. It’s a great way for kids to experiment with negative space and use up some of that scrap yarn you have lying around from your last attempt at knitting a scarf. Who says sparkly decorations are only for winter holidays? 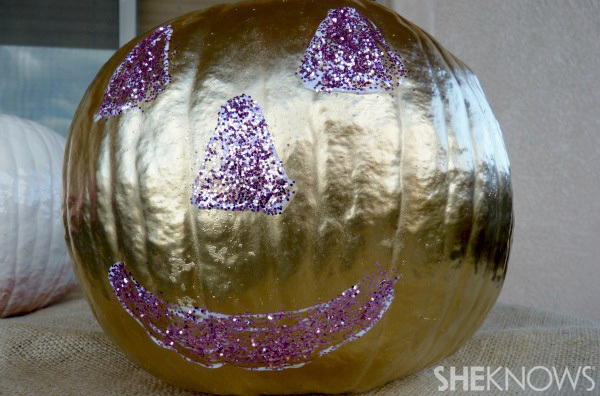 This pumpkin is so glitzy, it’s scary, and it’s also a safe alternative to traditional jack-o’-lanterns. 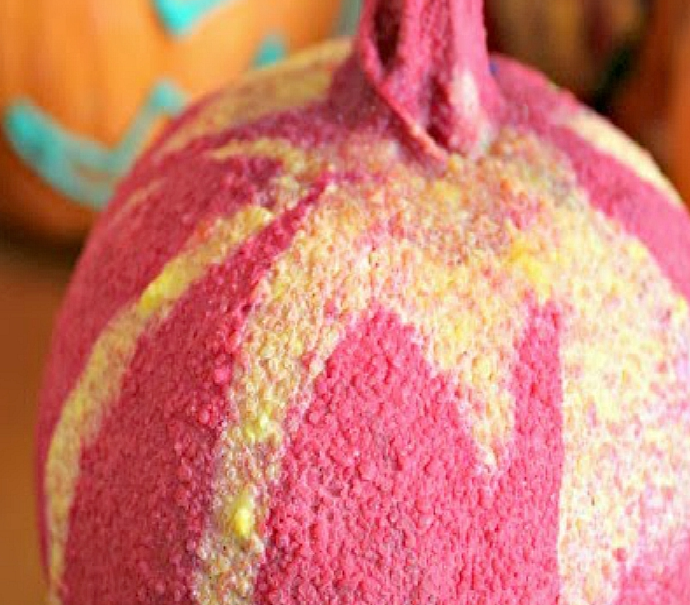 Check out the easy-to-follow instructions to make a fabulous shimmering pumpkin of your own. Who says Halloween can’t be glamorous? 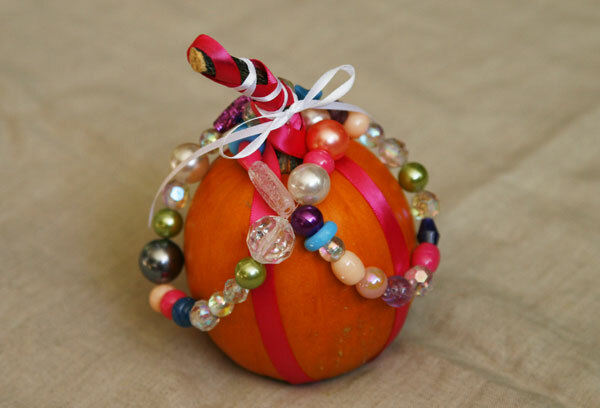 Your little fashionista will love this Project Runway-inspired pumpkin, and the best part is that you probably have all of the materials already in your craft supplies. Just grab a pumpkin and get ready to make something fabulous. 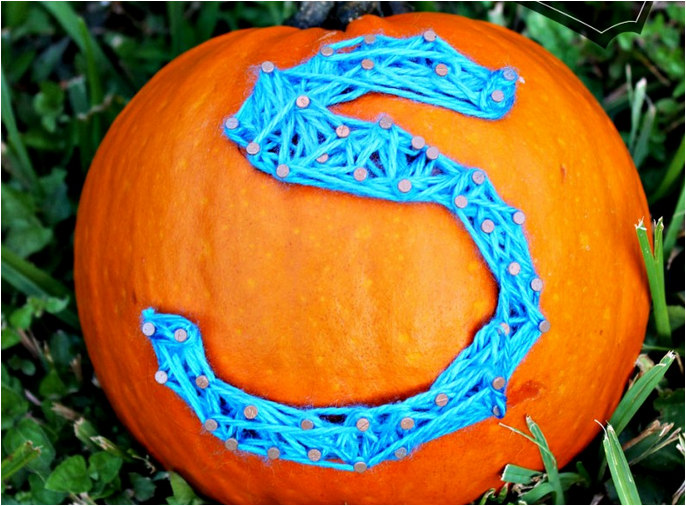 If your child is a wizard with his or her Rainbow Loom, then this no-carve monogram pumpkin from The Little Style File is sure to be a winner. A hammer, nails and some yarn are all you need to let the neighborhood marvel at your craftiness. Is your toddler in that phase where everything goes straight into his mouth? 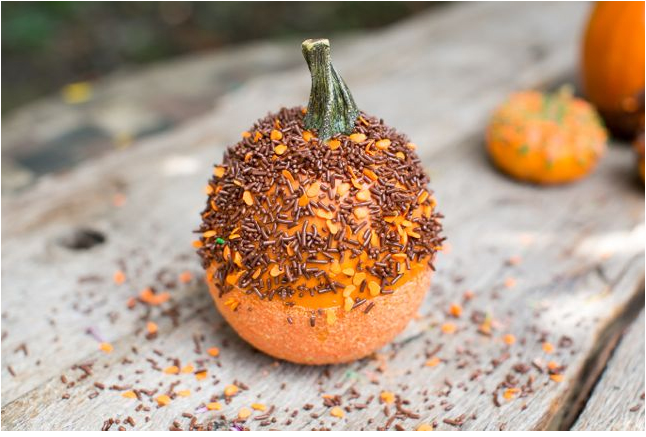 With this no-carve sprinkle-coated pumpkin tutorial from Hello Natural, his habit of noshing on everything won’t prevent him from getting in on the pumpkin decorating fun. Nibble as you create, just make sure the pumpkins are off limits for tasting once complete. The best part — you can sneak some of the leftover sweets for yourself. 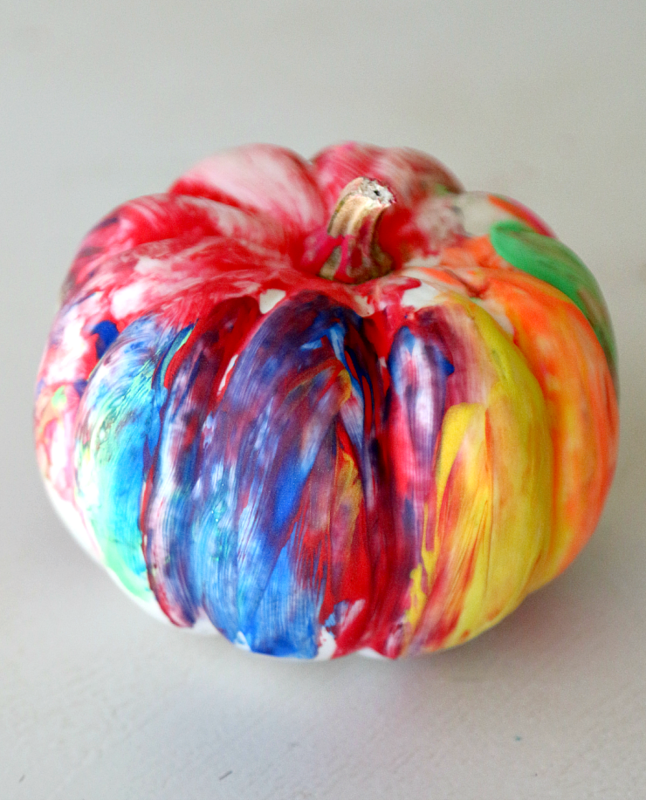 If the potential for a little mess doesn’t give you nightmares, this simple finger painting pumpkin decoration idea from Momdot provides your toddler with the chance to improve his motor skills and express his creativity. You could try using only red paint to make a horror scene of your very own. This chevron no-carve pumpkin from The Little Style File only looks elaborate. All it takes is tape and patience for your child to make her own geometric masterpiece for Halloween. Are your little ones so excited to decorate for Halloween that they’ll beg for pumpkins before the first leaf falls? 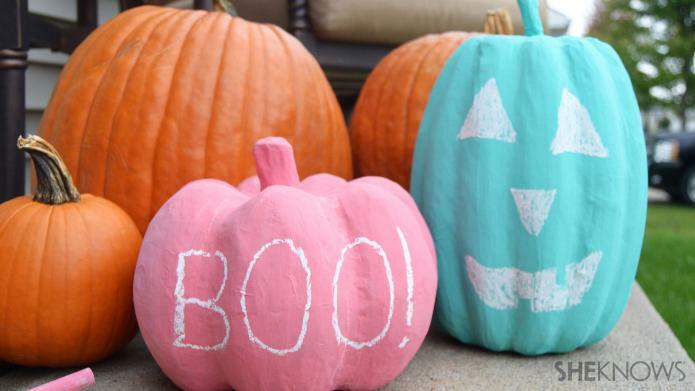 Then this colorful chalkboard paint pumpkin is a perfect way to let them stay in the spooky spirit all autumn long and the bright colors offer an alternative to traditional orange and black. They can doodle time and time again to their heart’s content on their own pumpkin canvas. 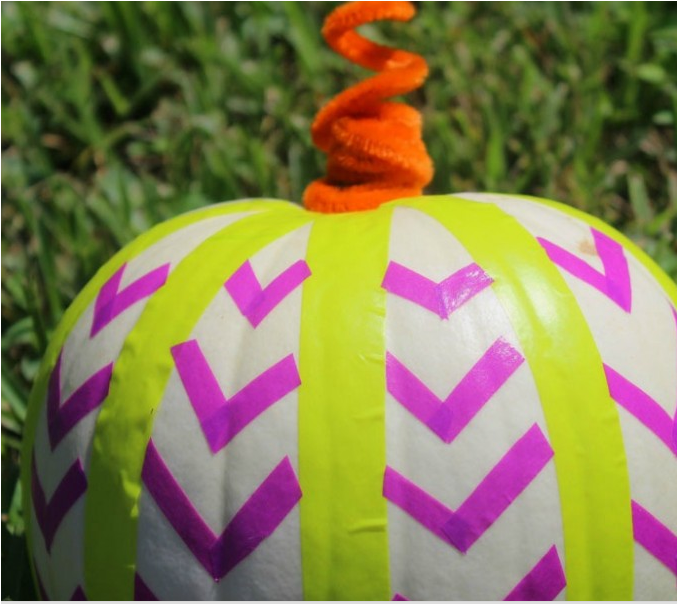 This puffy paint pumpkin from Learn Play Imagine is a clever way to get a 3-D effect without having to use a ton of supplies. Plus, helping your child work with puffy paints may bring back memories from your own childhood.